Height to 2m. Frost and drought tolerant. Dry shade only. 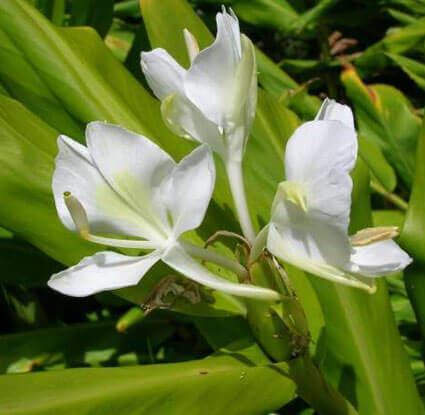 The Hedychium coronarium (white ginger) is the National Flower of Cuba where it is known as "Flor de Mariposa" (lit. Butterfly flower) due to its similarity to a flying white butterfly. 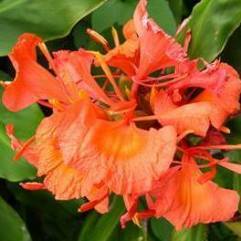 This species is fragrant and women garnished themselves with these flowers during Spanish colonization of Cuba. The intricate structure of the inflorescence allowed women to hide and carry secret messages important to the independence cause inside it.